Director James Wan's Aquaman is currently the top film -- superhero or otherwise -- at the box office. Audiences are enchanted by the fantasy epic's action and adventure, as well as its nods to '80s films like The Goonies and Romancing the Stone. And just like those classics, it's not afraid to both charm and scare its audience. 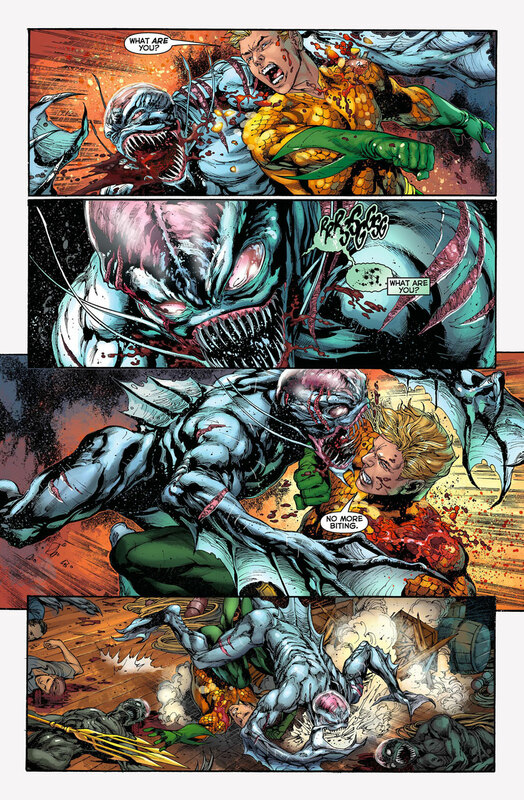 Some of Aquaman's most terrifying sequences are inspired by the work of writer Geoff Johns and artist Ivan Reis, whose run on 2011's New 52 Aquaman offered the most popular version of the Sea King in recent years. Titled "The Trench," the duo's debut storyline (read Aquaman: The Trench here) was a reintroduction to and reimagining of Arthur Curry. It was one which shocked readers as the comic opened with the famed friend of the ocean tucking into a plate of fish and chips, stating that he doesn't talk to fish. Wan's vision doesn't exactly go that route, though you may see an Atlantean or two chowing down on a fishy friend. 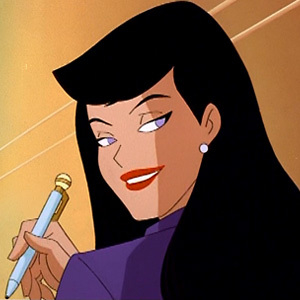 But this 2011 Aquaman adventure's antagonists and undersea location play a part in the new film. In the comics, the Trench is the name that the Atlantean-obsessed human historian Dr. Shin gives to the Mid-Atlantic Ridge. The mysterious deep sea locale is the home of terrifying humanoid fish monsters which have been devastating Arthur's birthplace, Amnesty Bay. Wan's film introduces Dr. Shin as a fringe character but he might have a larger overarching role in the future of the franchise. 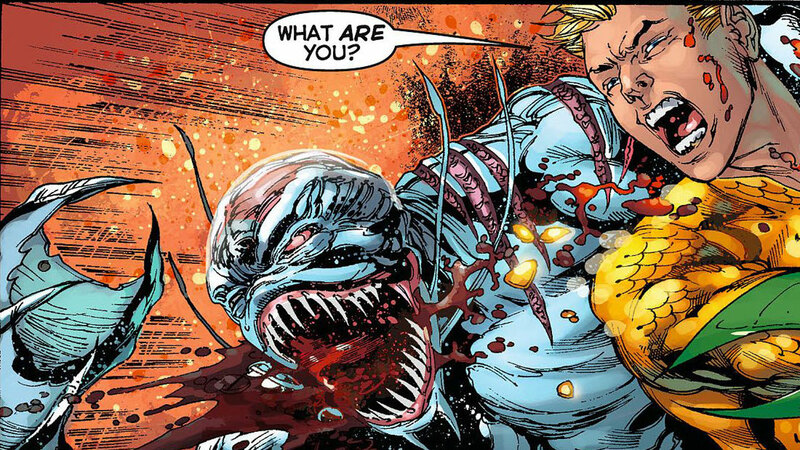 Shin is just one of Johns and Reis' inventions who ends up impacting Aquaman. In case one doesn't know his origin story, Aquaman's parents are Atlanna -- the Queen of Atlantis -- and Tom Curry -- a lighthouse keeper from Maine. The pair are torn apart due to their vastly different backgrounds, leaving Arthur to be raised by his father alone. In "The Trench", Tom lives in the placid beach town of Amnesty Bay, and each morning he walks to the end of the small jetty in front of his home looking for his long-lost love. Temuera Morrison does a brilliant job of bringing Tom to life in the film, and he shares his comic book counterpart's hopeful and romantic morning tradition as a way of remembering and perhaps reconnecting with the woman he loved so much. Ivan Reis' vivid vision for a more militarized and realistic Atlantis rubs off on Wan's flick too, but with the addition of the director's signature flair. Reis imagined the army of Atlantis as robotic and heavily armored soldiers, which Wan and his production team use as a jumping off point, creating some incredible suit designs for an Atlantis that straddles the ancient and the futuristic. One of Reis' most visually striking sequences -- Arthur thrown into the arid desert -- is repurposed for a treasure hunt with Aquaman and Mera. Wan's film offers other nods to the New 52 Aquaman. During their sandy treasure quest Arthur and Mera come across a fantastical hologram that appears made out of and powered by water. This might seem familiar to fans of Johns and Reis' run, as they introduce a similar piece of high-tech equipment. 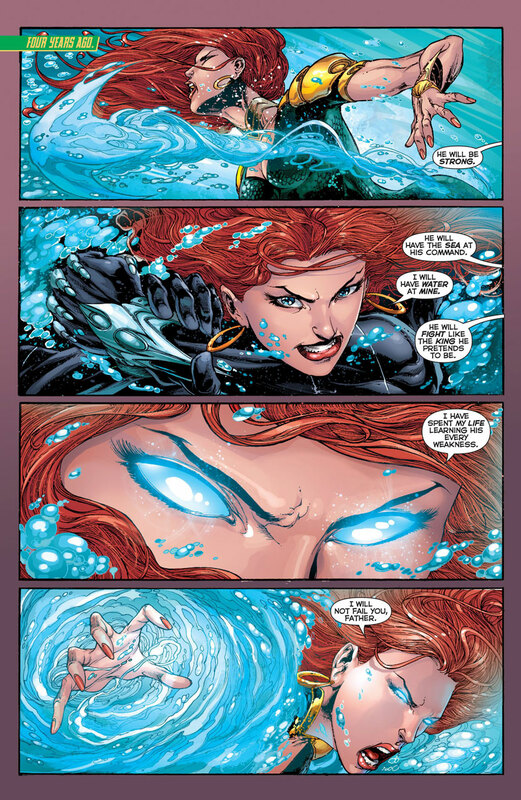 Another moment that finds its way into the film is Mera in a human grocery store recognizing that she can utilize the water in the products to attack the men who are hunting her down. Though in the comics it's a local bodega, in the movie Mera uses her powers after falling through the roof of a small Sicilian wine shop. Obviously the most iconic addition to Aquaman canon from this run is Aquadog. Just kidding! It's the cannibalistic fish men from the depths of the Trench, who see humans as nothing more than food. They're terrifying on the page and even scarier on screen. 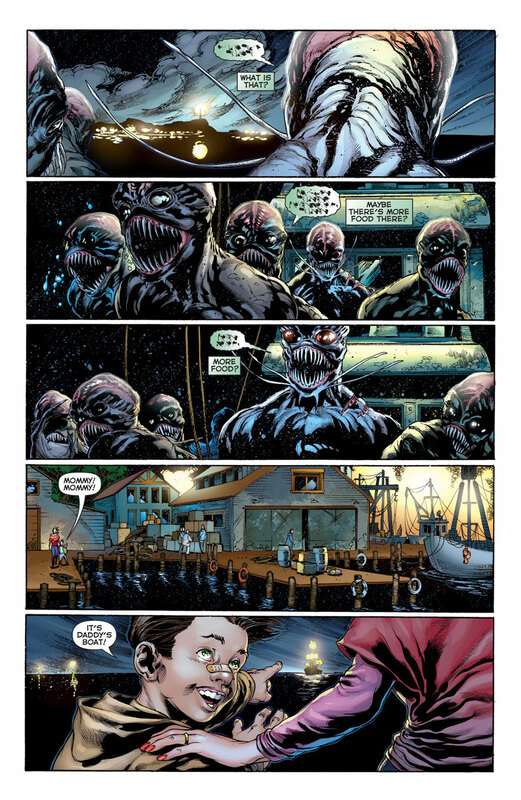 Wan brings his horror chops to every sequence featuring the monsters, and their introduction is right out of the pages of Reis and Johns' comic, as the monsters invade a fishing boat. But, in the movie, instead of fishermen its only occupants are Arthur and Mera, who must fight for survival against the beasts. After their battle with the amphibian cannibals, Arthur and Mera dive to the ocean depths. It's another nod to "The Trench," which features a wonderfully laid out page showing Arthur and Mera swimming into the ocean deep. It's a horror-tinged, watery nightmare which works perfectly in print and on screen. Wan's Aquaman is an experience all its own, but fans will likely be happy to discover the influence Johns and Reis' run had on the film, as they trace the movie's sequences back to the panels and pages that inspired them. Are you an Aquaman fan? Let us know in our Community!